Dreem, a wearable sleep device maker previously known as Rhythm, has closed $35 million in funding. The round was led by strategic investor JJDC and Bpifrance. 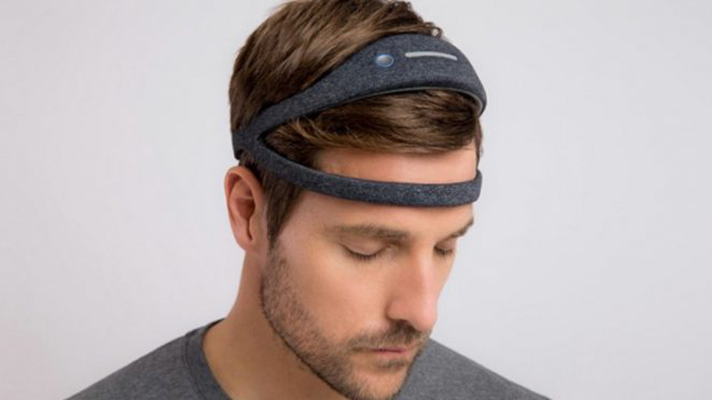 Dreem’s eponymous main product is a connected headband that tracks the user’s brain activity using EEG while they sleep. Launched last year, the device sends this data to a companion app that gives users information about what time they fell asleep, how long they slept, their sleep stages, and their sleep history. The headband also uses sound stimulations while a user is sleeping to improve their quality of sleep. The company said in a statement that it will use the funding to market its device in worldwide markets and continue its investment in sleep-related R&D. In addition, the team is looking to recruit new talent and increase the accessibility and discretion of its product. "First, we will be aggressively focused on product development to refine the user experience, making Dreem as accessible to as many sleep-challenged people as possible," Mercier told MobiHealthNews in an email. "Second, we will continue to focus on research, where we can apply our technology to help the industry’s leaders understand the human brain like never before. Finally, we want Dreem to be one of the best companies to work for in the world — because none of this would have been possible without the incredibly talented, hard-working, and motivated team I’ve had the pleasure to work with." Previously, the company had raised $22 million during rounds in 2016 and 2017, now bringing its total funding to $57 million. Participants in those rounds include entrepreneurs Xavier Niel and Laurent Alexandre, as well as MAIF. Dreem was founded as Rhythm in 2014, and according to a statement has expanded to more than 70 employees. With the new investment, the company said it hopes to grow this team another 30 percent by the end of the year.